Experience the unique timeshare accommodations of Ridge Tahoe, the only on-mountain resort on the Sierra Nevada Ridge above Lake Tahoe! Ridge Tahoe resort boasts a private gondola to the Heavenly Valley Ski Resort, but the 11-acre resort has no shortage of year-round recreation options. Indoor activities include a complimentary health club, a sports complex, indoor swimming pool, Jacuzzis, and a full service spa. You will also enjoy access to scenic hiking trails, miniature golf and putting greens, outdoor pool, racquetball and tennis courts, ping-pong and billiards and a movie theater. There is also a wide range of complimentary classes to take advantage of such as water aerobics, skin care, glass painting, wine tasting and cooking demonstrations. The full service spa boasts a wide range of treatments and offers rejuvenation in the Roman soaking tubs and eucalyptus steam room. If you prefer outdoor recreation activities with a bit more excitement, Ridge Tahoe has plenty to offer including nearby fishing, hiking, mountain biking, jet ski and motor boat rentals, zip lines, water recreation rentals, boat cruises and, as always, boutique shopping. There is an onsite restaurant, deli and market, plus Lake Tahoe nightlife and casinos are only a quick shuttle ride away. Ridge Tahoe timeshares for sale offers a wide range of accommodations including deluxe hotel rooms and spacious one and two bedroom condominium suites. The larger suites feature fully equipped kitchens with full-sized refrigerator, full-sized oven, microwave oven, dishwasher and all the basic kitchen utensils needed for your in-unit cooking needs. Enjoy the luxury of a gas fireplace, multiple TV's, DVD's and stereo systems, Sleep Number beds in each bedroom and daily maid service. 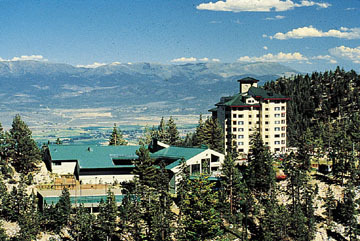 Come experience the breathtaking mountainside beauty of Ridge Tahoe resort when you make the decision to buy a Tahoe timeshare from an existing owner and save money here at BuyaTimeshare.com! Contact Ridge Tahoe Specialist Today! The Ridge Tahoe is consistently top notch. Two bedroom units with sleeper couches allow for plenty of sleeping accommodation for families, with full kitchens for meals. Units are well appointed in a rustic mountain theme with many that have a dynamite view of the Carson Valley. Many on site activities, pools, gym, basketball court, tennis, racket ball, and shuttle service to town. We come here every year and never have been disappointed. The facilities are wonderful as are all the accommodations. They offer complimentary shutter bus to downtown which is just beautiful and has great interior and makes getting around the resort easy. Sleep number beds are so comfy and with a professional staff, fabulous views, you cannot have a better experience in Lake Tahoe!